Oxford is just over an hour from my hometown of Stratford Upon Avon and a place I love to explore when I get the chance, one of my best friends also lives there so I've become quite familiar with the streets and the most beautiful places to take photos. It helps that in Oxford you will find wonderful architecture, amazing restaurants and one of the oldest and most famous universities. 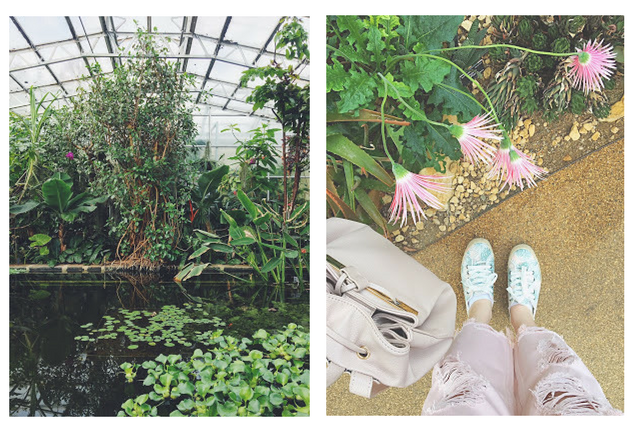 So if you love photography as much as me or just want to fill your Instagram with pretty pictures I have compiled a list of my favourite places to take photos in Oxford. Situation on the high street in Oxford, is the Grand Cafe in all its glory, I've still never actually been inside this cafe in Oxford but from the outside you can tell it's absolutely stunning. With a lovely blue exterior, it reminds me of traditional Parisian cafe. Outside St Marys Church on the main high street is the most beautiful blossom tree which obviously isn't there all year round so I can't be sure how long the tree is in bloom but its a perfect photo opportunity. Just be careful not to stand in the middle of the road for too long! You can also climb the tower of St Mary's church for a small fee which gives you views above Radcliffe Square and the famous Radcliffe Camera. 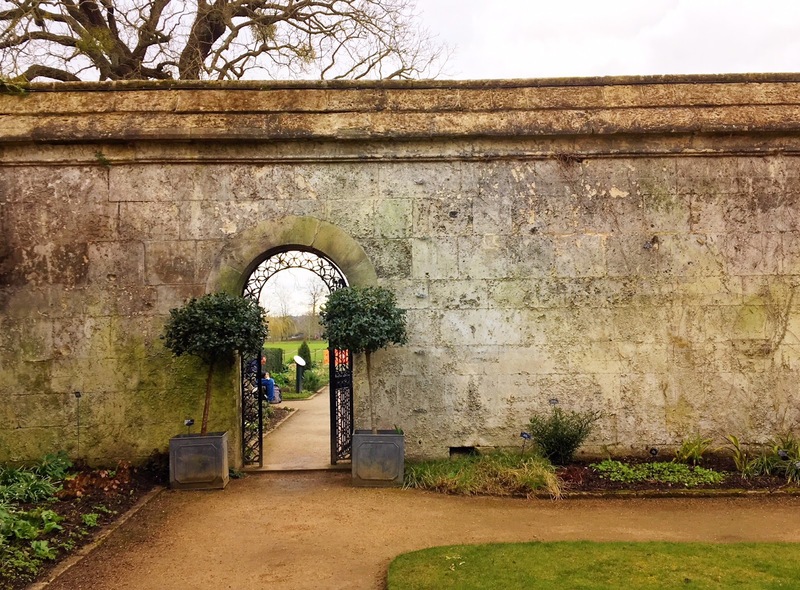 Founded in 1621, the Botanic Gardens are one of the oldest gardens in the UK, with classic seventeenth century walls surrounding the garden. Inside you will find an array of plants grouped by country of origin or botanic family and plenty of floral photo opportunities. The River Cherwell flows under this famous bridge in Oxford. If you visit the botanic gardens to the right of the bridge you can get the perfect shot of the punting and rowing boats underneath the Magdalen Bridge. But before even walking to the bridge you will pass Magdalen College which dates back to 1458 and has the most beautiful daffodils in front. When walking around Oxford it's hard not to miss this impressive piece of architecture designed in a neo-classical with a circular dome. It was built between 1737–49 and holds over 600,000 books in underground rooms and there are also two reading rooms. Radcliffe Camera sits in Radcliffe square which is pedestrianised perfect for taking photos. 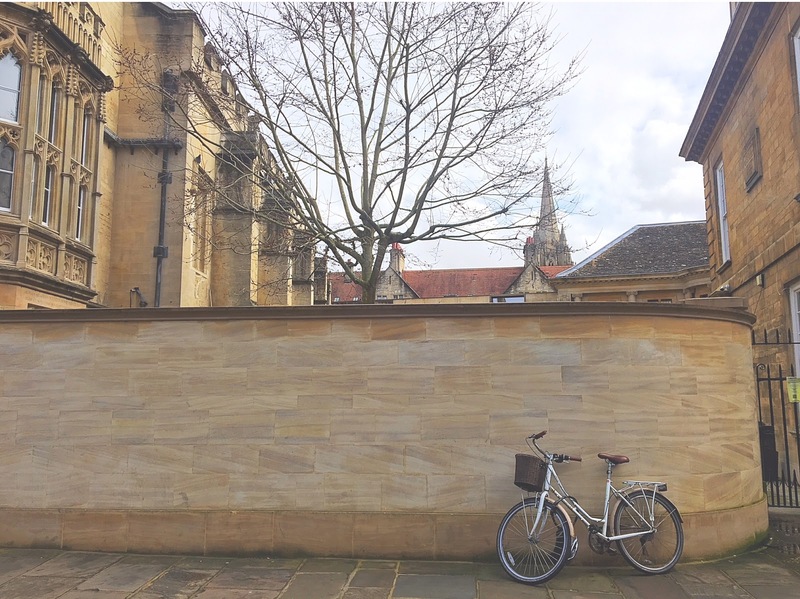 A long and lovely street right in the centre of Oxford with plenty of cafes and shops but also Lincoln college can be seen to one side which is another impressive building and the perfect backdrop for photos of yourself or bicycles. Completed in 1914, this famous Oxford bridge links the two halves of Hertford College and is very similar to the Bridge of Sighs in Venice. If you stand on New College Lane beneath it you can get the perfect photo from either side. 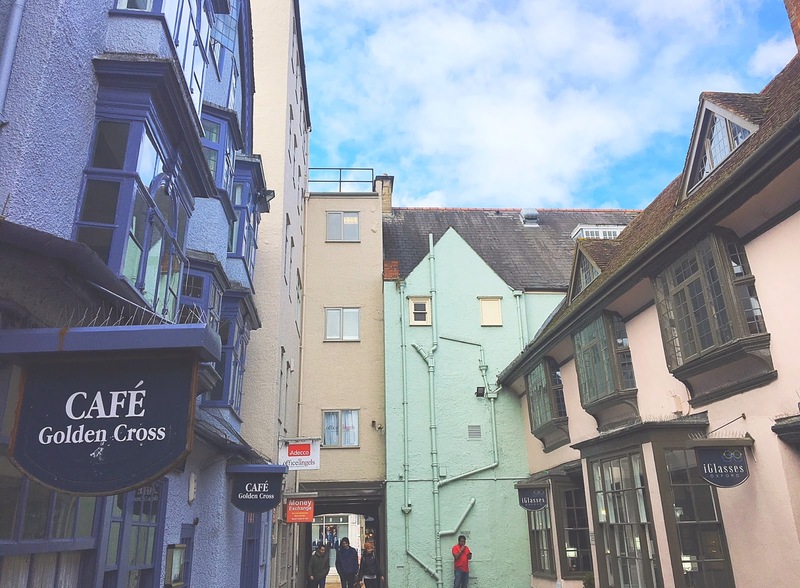 Golden Cross is a shopping arcade at 5 Cornmarket Street in central Oxford. The colourful blue, green, and pink buildings provide the perfect backdrop for photos and date back to the late Fifteenth century. You can also access the covered market from one of the doorways which has lovely shops and food places inside. This town looks so beautiful! You are giving me the itch to travel! How many beautiful places are there in London!! Check out my blog to!